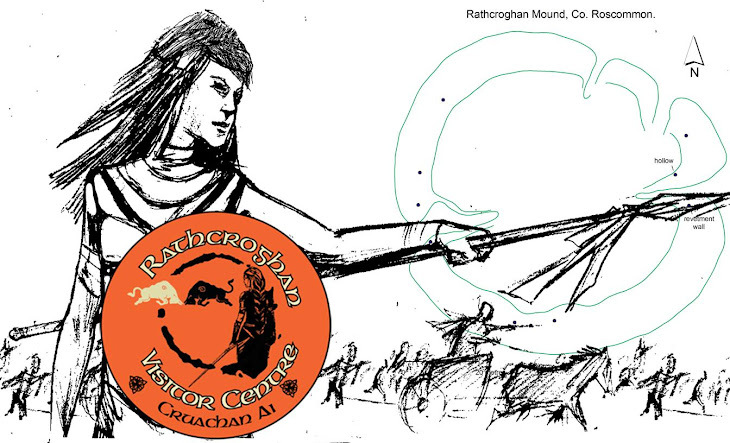 Rathcroghan Visitor Centre, Cruachan Aí: Rathcroghan Monuments Spotlight No. 6 - Relignaree: The burial place of kings, or a high-status residence? Rathcroghan Monuments Spotlight No. 6 - Relignaree: The burial place of kings, or a high-status residence? 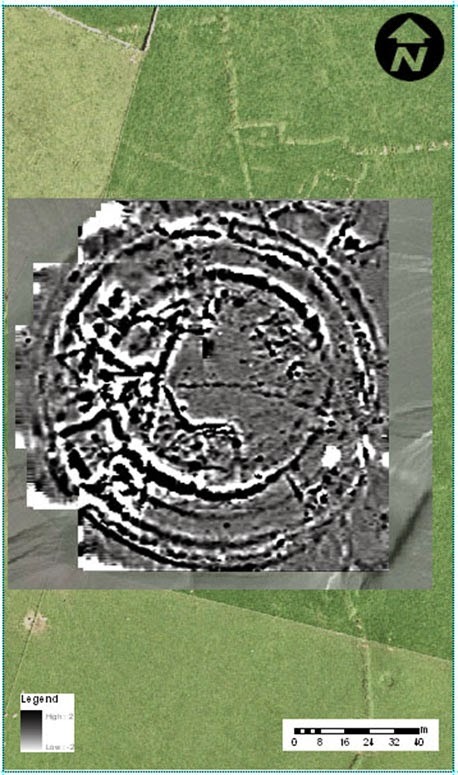 Relignaree has been described as large univallate circular enclosure with an internal diameter of 100m from bank to bank. The majority of the enclosure is not presently served by an external ditch except for a section which does remain insitu north-west of the monument, measuring 6m wide and 50cm deep. It is accepted that the later use of the land for farming has eroded such features. There are a number of breaks distributed throughout the enclosure banks which may possibly be the result of cattle grazing. It is a general known that placename evidence is not a reliable source from which to gain information about a monument or area. Unfortunately, Relignaree is no exception. Reilig na Rí, the graveyard or burial-place of kings, was another of the place names thought to be have been recorded in the 18th-century which appears to provide a role for the monument that is very different from the evidence. 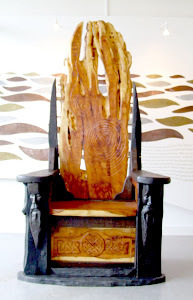 It is interesting to reiterate the description of Cruachan as being one of the three Heathen cemeteries of Ireland and an important place of burial and funerary practices in the Iron Age period. Through reinterpretation, the erroneous placename evidence of Relignaree in a wider context may potentially find its origins in a local folkloric remembrance of some human interactions with the wider complex in times gone by. A later field system runs across the entire site, physically dividing the enclosure into four unequal quarters. This feature has been theorised to represent the four provinces of the island but this is a more sensational claim given the timeline and known use of the site. 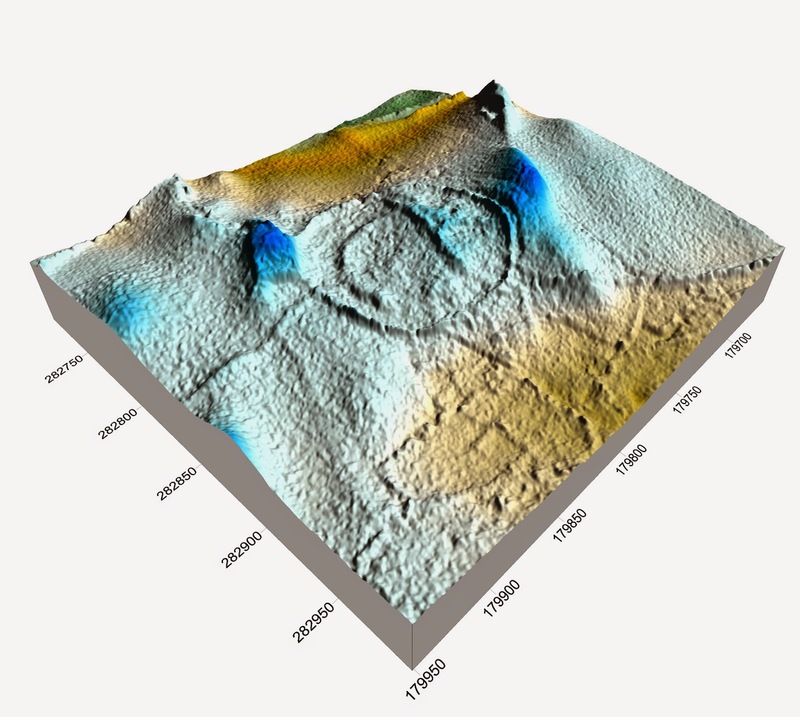 Within the enclosure there are traces of a smaller concentric enclosure, with a bank that reaches between 50 and 100cm in places. It is also possible to trace three rectangular houses and a souterrain on the site, further evidence of the monument's use for settlement. The information stated above is clearly contradictory in regards to the site name which suggests funerary and burial purposes. This is further challenged by the excavations at Relignaree in 1911 which provided no physical evidence of human interment. However, this does not diminish the importance of the monument within the complex. 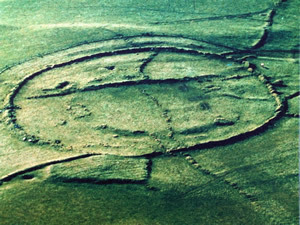 The size of the site and associated souterrain implies its main period of use, namely in the 1st millenium AD, but informs us of Relignaree's high-status as a ringfort site. In total the site includes the remains of five house-type structures situated in and around the monument and the presence of a smaller ringfort with associated souterrain 100m to the south-west of Relignaree. The size and complexity of Relignaree may act as further evidence to suggest this site as one of importance and substantial settlement in the early Historical period. Daniel Curley. Relignaree can be seen in the south of this map, relatively centrally.